Two new books use the well-worn approach of citing historic examples to promote nonviolence, when ethics and philosophy are really their strong suit. A friend of mine who is an organizer and nonviolent trainer has a favorite exercise called “10-10,” which she uses when introducing nonviolence to new activists. She divides the students into groups and tells them to write down, as quickly as possible, 10 wars. Afterwards, they review all of the different wars that people have recalled. While there are a number of wars that are repeated, often each group has come up with some war that other groups have not thought of at all. When I first participated in this exercise, I was excited to contribute the rather obscure Corinthian War. Then she asks the groups to write down 10 nonviolent struggles. This task always takes longer and some groups run out of time before they can complete the task. The point of the “10-10” exercise is to drive home how our society pays close attention to wars and violent conflicts: We devote countless news articles, books and classes to retelling the history of these violent events. It is not surprising then that for the past 40 years much of the literature on nonviolence has been historical: Scholars and writers have uncovered, recorded and preserved examples of nonviolent struggles from across the world and from many different time periods so that activists can know for themselves and convince others of the efficacy of people power. Other writers, such as the philosopher Todd May and the theologian Ronald Sider, have adopted this idea of historical research being necessary to argue about and promote nonviolence in new books that they have each published. Sider is an activist, teacher and writer, most famous for his 1977 book “Rich Christians in an Age of Hunger.” As a practicing Mennonite who bases his politics on his faith, Sider eschews the usual allies: Conservatives bemoan his comments on the need to redistribute wealth while those on the left are uncomfortable by his comments on queer relationships and abortion. While Sider comes to nonviolence through his faith, his approach is ecumenical and open to other points of view. 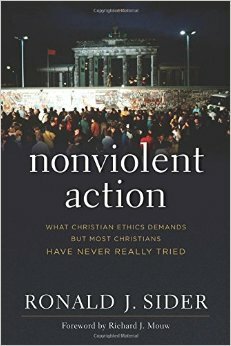 In “Nonviolent Action: What Christian Ethics Demands But What Most Christians Have Never Really Tried,” Sider retells well-known examples like the Indian independence movement, as well as lesser known struggles like the movement to oust Liberian dictator Charles Taylor. These descriptions both benefit from and are constrained by Sider’s decision to focus on a key individual in each movement. This focus allows him to include small details, like Leymah Gbowee’s nighttime doubts about her ability to rally women to oppose war in Liberia. Sider also highlights the importance of prayer and spiritual resolve, perhaps most clearly in how Cardinal Jaime Sin and Catholic nuns helped organize Filipino people to stand up to dictator Ferdinand Marcos’ army in the 1980s. However, this focus on a great individual works against Sider’s concluding argument, which is that the power of nonviolence will be even greater if it is supported and practiced at an institutional level. Sider’s call for the creation and maintenance of nonviolent institutions is the core of his conclusion. Even though the title of Sider’s book indicates that he is specifically addressing Christians, his arguments do not rely on his readers having a Christian perspective on violence or anything else. Indeed, Sider refuses to directly address questions about the morality of violence, instead exhorting readers to consider the moral superiority of nonviolence. With this moral superiority in place, he then uses historical examples to show that nonviolence can accomplish the goals that people usually assume require violent means, such as overthrowing governments and casting out occupiers. Sider does not attack those who think that violence is justified for such goals, but thinks that they primarily hold this position because they do not realize how effective nonviolence can be. But since nonviolence is effective and morally superior to violence, it at least deserves the training, funding and building institutional support that our society currently gives to explicitly violent methods. In other words, Sider imagines a world in which peace studies departments match the size of military academies and volunteers at nonviolent organizations outnumber soldiers. It is not surprising that Sider holds this vision, considering — as he noted in his account of peacemakers in Nicaragua — he has, on occasion, put himself in danger in order to prevent war. As part of an organization called Witness for Peace, Sider went to Nicaragua in order to put himself between the warring Contras and Sandinistas. Sider also chronicles the history of similar organizations, including groups such as Christian Peacemaker Teams and Nonviolent Peaceforce. 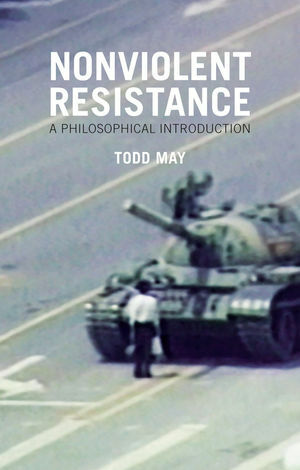 May’s book, “Nonviolent Resistance: a Philosophical Introduction,” is likewise inspired but not focused on the author’s own experience with nonviolence. In the preface, May explains that he was prompted to reflect about nonviolence in part because of his experience protesting U.S. nuclear arms in the 1980s. His book is not framed as a demand that political struggles be nonviolent, but rather as a philosophical investigation of nonviolence. To answer this question, May turns to a variety of thinkers, including Martin Luther King and Gandhi, but also Michael Rosen, a historian of ideas, and the philosophers Kant and Rancière. For May, the moral preference for nonviolence is the result of how it rests on and interacts with dignity and equality. It is a form of struggle that grants both the oppressed and the oppressors chances to become better people. While such a description runs the risk of marking May as a wishy-washy sentimentalist, he is far from it. Rather, he points out that nonviolence creates opportunities in which oppressors can act out of purely selfish reasons that nonetheless benefit the oppressed. For instance, when the Filipinos confronted the army in order to oust Marcos, May notes the soldiers may have disobeyed Marcos’ orders because they wanted to avoid being vilified for shooting on innocent protesters. This kind of moral calculation was not done with the interests of the Filipinos in mind, but nonetheless protected the Filipinos and helped their campaign. In addition to the movement against Marcos, May also philosophizes on historical examples such as the Estonian struggle against the Soviet Union, the Egyptian ouster of Hosni Mubarak and Occupy Wall Street. Since May’s book is an introduction to the philosophy of nonviolence, the jargon is kept to a minimum. Nevertheless, his analyses of the relationship between oppressors and the oppressed is sophisticated, elegant and worthy of rereading. This elegance is in part a result of May’s careful work on definitions, including what kind of violence nonviolence rejects. He considers various kinds of violence, such as psychological violence, violence to property and structural violence. Two particularly important questions that May addresses are whether violence can be moral (May answers yes) and whether nonviolence can be coercive (again, yes). May ends with a view towards the future, specifically the work of overthrowing neoliberalism. While May believes that nonviolence offers the best tools to oust this economic system, he is also honest that it will be quite different than using nonviolent struggle to oust dictators, mainly because a dictator has a human face while neoliberalism is a complex series of relationships between workers and bosses, owners and property. May and Sider do not have the historical examples to show that nonviolence can do what they hope it can do, namely stop future wars and create a just economic system. But this doesn’t have to be a problem. As Nietzsche wrote, “The historian looks backwards; ultimately he also believes backwards.” In other words, to use nonviolence to make a better future one does not necessarily need a solid understanding of its history. Indeed, as May’s and Sider’s own historical examples show, one does not need to know the history of nonviolence to harness its power. 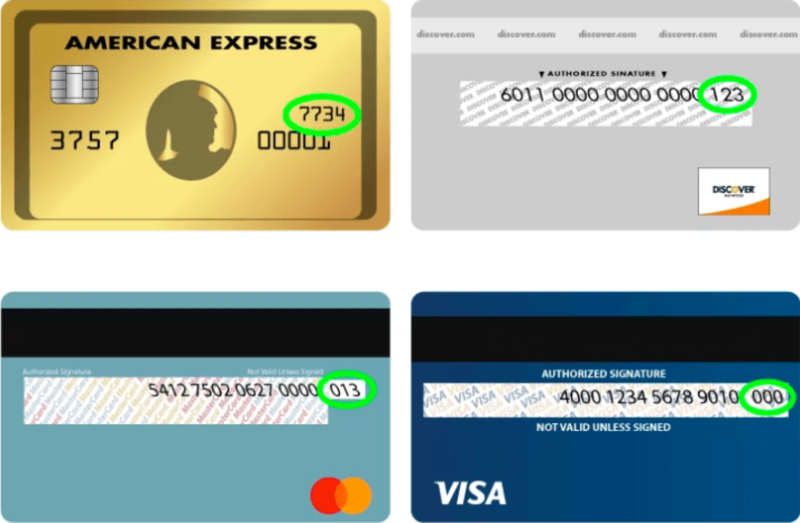 But a solid understanding of what it is and why it works is critical. In regards to their thoughts on nonviolence rather than history, May’s writing is more useful than Sider’s. May’s thoughts on nonviolence are at times quite wonky, however his arguments should provide new appreciation even for those who know a great deal of the history of nonviolence or who have practiced it for many years. Perhaps more importantly, his words and ideas have the potential to support the dedication of an activist through harrowing times. Sider’s book is less likely to have the same kind of impact. Since Sider does not explore why nonviolence is moral, his preference for it is based on unstated ideas about the immorality of violence. 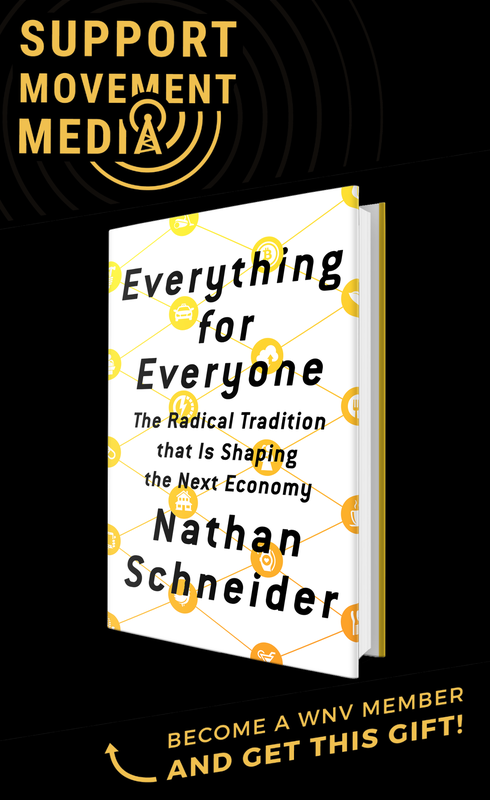 By not condemning violence, Sider opens his book to a wider audience, but his use of historical examples to propel his argument hints that Sider has doubts about the persuasive power of theology. That May and Sider both felt that their books needed to include a great deal of history is unfortunate, as neither are particularly strong historians. Both books share the problem of being very removed from the original events; that is, neither have conducted original interviews or looked at primary documents such as governmental records. Instead they write their stories based on the narratives provided by historians, journalists or social scientists. As the “10-10” exercise shows, many people do not know that nonviolence even has the power to overthrow dictators. Does nonviolent resistance have the power to overthrow neoliberalism and stop war, as May and Sider argue that it does? The future, not history, will answer this question. Tristan K. Husby lives in New Hampshire and is writing a dissertation on Greek and Roman slavery. Sider’s concluding argument…is that the power of nonviolence will be even greater if it is supported and practiced at an institutional level.